If you love the taste and smell of fresh, ripe fruits, you'll love the fruit-flavored Flavorah e-juice supplies we offer for your DIY vape-making activities. These natural fruit Flavorah extracts can be used as a stand-alone fruit flavoring for e-juice or added to one of your other favorite recipes to add a distinct top note or base note to round things out beautifully for another dimension. 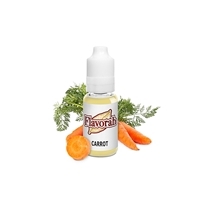 E-liquid fruit flavors by Flavorah include just about every possible fruit you can imagine plus a few selected vegetable and herb flavors such as basil, carrot and cucumber. 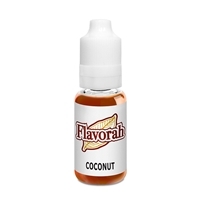 We offer DIY Flavorah fruit flavors from orchard, vineyard and tropical fruit types. In the area of apples, you'll actually find seven different types, including Apple Cranberry, Apple Filling, Apple Pop, Granny Smith, Green Apple, Red Apple and Sour Apple. Tropical favorites include Tropical Punch, Pineapple, Acai Berry, Coconut, Jackfruit, Mango, Papaya and Passionfruit. Many of the mixing ratios of these fine flavors are 1 to 3 percent, while several of the tropicals have a mixing ratio of 2 to 5 percent.